The celebration of Marvel's 80th anniversary continues, and This Week in Marvel is getting groovy in this month's TWIMURC to talk about the 1960s! But the 1960s were a HUGE decade for Marvel Comics, and covering it all in one episode would be a fantastical feat! So instead, Ryan "Agent M" Penagos sat down with Marvel Editor-in-Chief C.B. 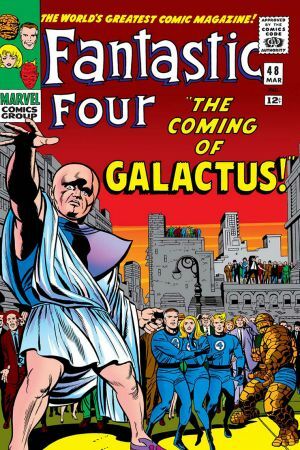 Cebulski to talk about Marvel's First Family -- the Fantastic Four -- and one of their seminal 'sixties story arcs. Watch the video above and listen to the audio episode below to hear Ryan and C.B. discuss "The Coming of Galactus" and more in FANTASTIC FOUR #48-51, which you can find right here on Marvel Unlimited! Now that you've got your hands on the book, download the audio below!